THE families of six men killed by British soldiers over two days in the New Lodge in 1973 have applied for a fresh inquest into their deaths. Backed by Relatives for Justice, the families of James McCann, James Sloan, Tony Campbell, Brendan Maguire, John Loughran and Ambrose Hardy are to petition Attorney General John Larkin who has the power to make the order. The men were gunned down over a four-hour period by snipers on February 3 and 4, 1973. Relatives have always claimed the deaths were deliberately planned and have campaigned for justice ever since. 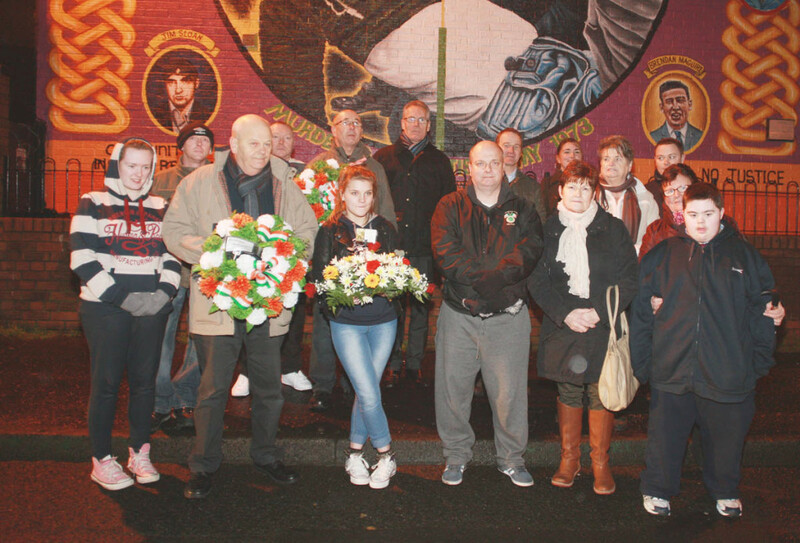 Mike Richie from Relatives for Justice said: “A community inquiry was held on the 30th anniversary of the killings and this collected much new evidence, including eye witness testimony, and available public information. “Requests for information from the RUC, the Ministry of Defence (MoD) and the British government were ignored. An international panel of experts assessed the information and concluded the British authorities had questions to answer. “In the interim, despite endless negotiation, a formal independent investigation mechanism has not been established which would allow for these matters to be independently investigated. “Families have now taken the difficult decision, in the absence of other forms of investigation, that the best way to have those questions answered is through a new inquest into their loved ones’ deaths. The current legal framework for the coronial system will be able to force the PSNI and MoD to hand over documentation and ensure any surviving soldiers are required to attend and face cross examination on their conduct 44 years ago. “It will also mean that vital testimony from eye witnesses, whose statements were not heard by the original inquest, can at last be considered,” he added. Gary Duffy, whose great uncle Ambrose Hardy was shot dead, said new inquests would help the families in their struggle for the truth. “The official narrative is still that the men who were killed were IRA men which isn’t true. There has never been an official apology because of that and new inquests would put the narrative straight.